Kezy's love of the Yorkshire landscape and passion for experimenting with mixed media collide in her vibrant paintings. 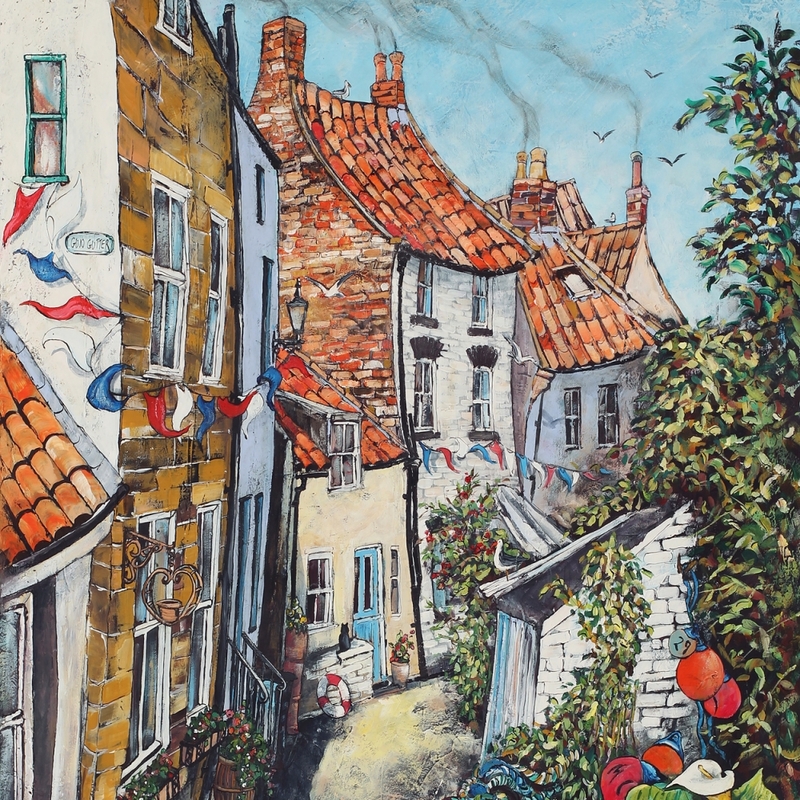 She finds inspiration from the higgledy cottages of Staithes to the tumbling dry stone walls crossing the moors, capturing them in her distinctive quirky style. Kezy lives and paints full-time in North Yorkshire. 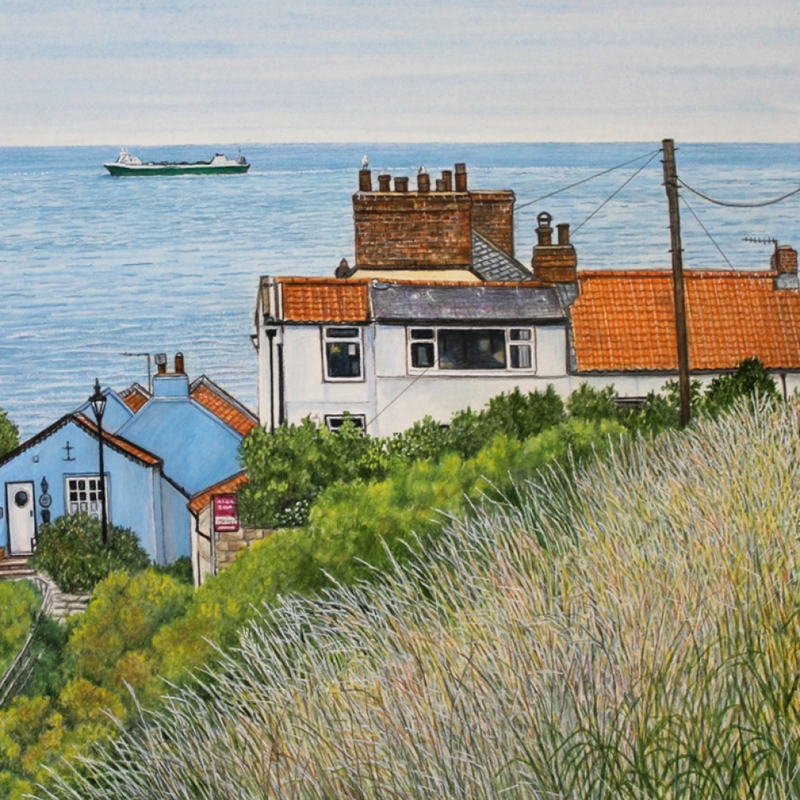 Sue lives and works in the North East of England and is inspired by the beautiful Landscapes, Seascapes and Natural History of the area. Using a variety of media from Gouache, Caran Dache and Acrylic she creates texture depth and warmth to her work. She paints from the heart and captures this in her beautifully observed paintings. Sue is well known for her quirky doors of Staithes series and we look forward to seeing which doors she has painted this year.